High temperature resistant flame retardant protective clothing plays an increasingly important role in protecting the safety of emergency personnel such as firefighters. Foreign countries have carried out a lot of research on the protective clothing fabrics and performance testing, and the domestic comprehensive research on the independent evaluation of protective clothing fabrics and the performance of protective clothing is far behind the developed countries, so further strengthen the high temperature resistant flame retardant protection. Research on the development and performance testing of clothing is imperative. Through the principle of thermal protection, this paper focuses on some flame retardant fabrics, how they are flame retardant, the specific structure is flame retardant outer layer, waterproof layer and heat insulation layer. 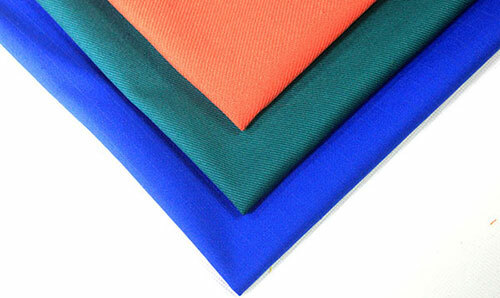 Among them, the flame-retardant outer layer is aramid fiber, Visil fiber, and polysulfonate fiber. It also introduces the performance and comfort of thermal protective clothing, and quantitatively analyzes the relationship between TPP and thermal protective clothing through simple performance tests. Finally, there are some suggestions and conclusions. In recent years, with the rapid development of social economy, the increasing production factors and production facilities have caused an increase in the types and quantities of combustibles, combustion-supporting materials and fire sources. The frequency of fires is on the rise and the fire environment is more complicated. Fires not only bring losses to people's property but also threaten people's lives. Every year, thousands of burns are caused by improper clothing in the world. The most serious burns are often caused by the burning of clothing. The burn of clothing is often more than the skin that is directly exposed. The degree of burns is more serious. Therefore, the flame-retardant protective clothing is specially designed to protect the firefighters from the fire and other disasters. The protective performance of the fire-retardant protective clothing is the key to whether the firefighters can successfully rescue. Insufficient protective performance of fire service suits may delay the aircraft, or reduce combat effectiveness, and even burn yourself when rescued trapped personnel. Therefore, the application range of thermal protective clothing, which is a major variety of industrial textiles, is expanding and has broad prospects for development. Flame-retardant protective clothing is an important personal protective equipment. It has been widely used in petroleum, chemical, metallurgy, shipbuilding, fire protection, national defense, and places with open flames, sparks, molten metals and flammable materials. It is also increasing at a double-digit rate. Developed countries in the United States, Japan, and Europe have been researching and developing thermal protective clothing earlier, and thermal protective clothing has been widely used in many industries. At present, they have developed and implemented a series of advanced and perfect thermal protective clothing product standards and test method standards, which can systematically design, develop and produce various types of thermal protective clothing, and better test and evaluate thermal protective clothing. Thermal protection properties. PREVIOUS POSTWHEN DOES MY FLAME-RESISTANT CLOTHING NEED TO BE REPLACED?